Fox Ridge lofts are one of Charlotte's limited "true" converted mills. Amazing 3rd floor loft with enormous exposed pine beams and columns, extravagant 17' ceilings, 12' arched windows, and beautifully exposed brick walls. This 2 bedroom features new laminate wood floors, new 2" faux wood blinds on all windows, new bathroom fixtures, freshly painted throughout and new carpet in both bedrooms. 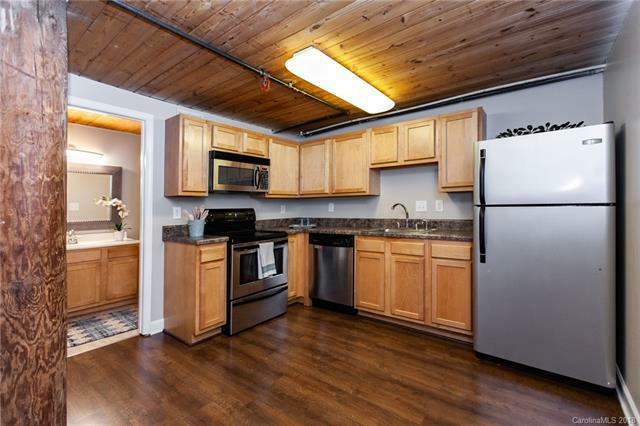 Kitchen offers a large dining area, stainless appliances including dishwasher, range/oven, microwave, and refrigerator plus washer & dryer connection in this loft. In addition, the building includes an elevator, secured parking lot, secured building entry. Central common area and laundry facility.